This mattress is manufactured outside the United Kingdom and distributed in the united kingdom by Loren Williams. The Pure Comfort Mattress has 1500 pocket springs, luxury cotton, wool blend fillings and a layer of convulated memory foam on top. The top cover of this mattress is quilted and covered in a luxury bamboo knitted fabric helping you get a better night’s sleep.. 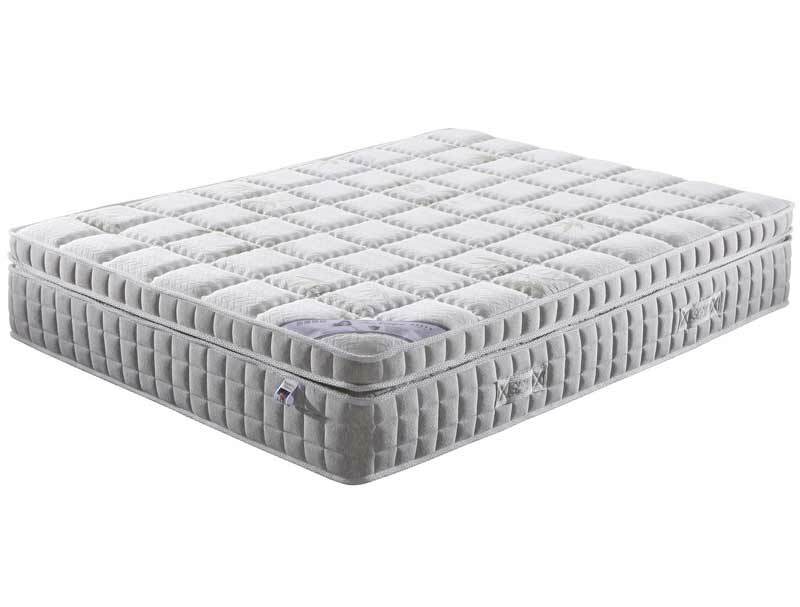 The Pure 1500 mattress has 1500 springs in a king size mattress and offers anti allergenic properties. 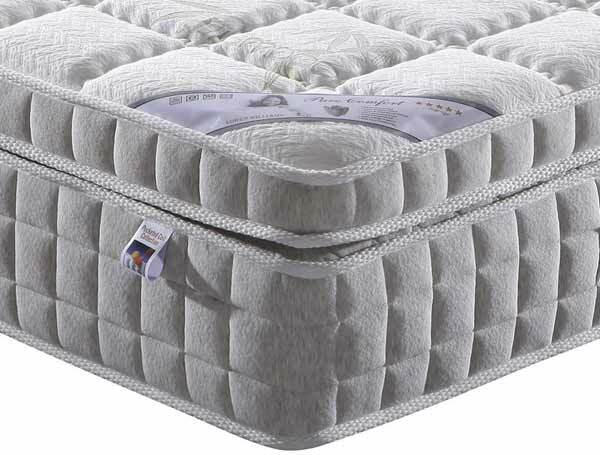 The top cover of the mattress is quilted and covered in a soft knit fabric. This mattress is Non turn-able and rated as Medium to Firm and comes with a 5 year warranty it is also delivered flat ready for being inflated .